I regularly receive an email called “Daily Heartlight.” It features reflections by a rotating group of people, all of them Protestant and most of them preachers. Most of my spiritual reading is Catholic, but I find these often have good insight about faith and Scripture. 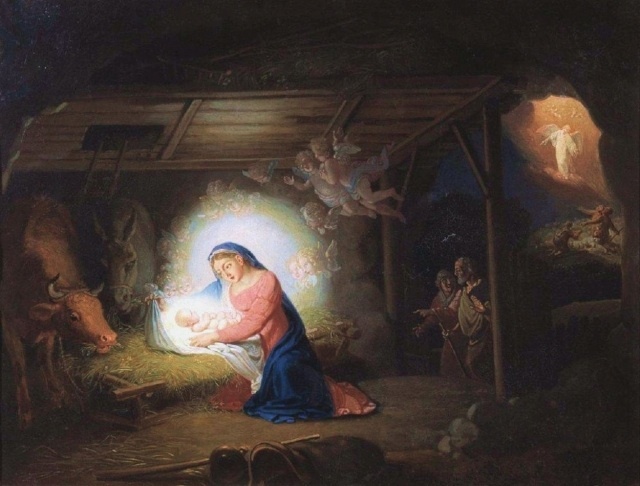 As we’re approaching Christmas, several reflections have involved Mary and her role in bringing our Savior into our world. I don’t remember any previous reflections this year mentioning Mary at all. Protestants don’t know what to do with Mary. For many of them, she’s just a character in small parts of the Gospel story. Mary always has been more than a character in a story to me, more than a pregnant teenaged girl who rode a donkey to Bethlehem and gave birth in a stable. She struck me as the first genuine disciple, the best example of a Christian that we have, a truly selfless woman whose “yes” should be my goal as well. I could see her as the greatest of all saints. I have a better understanding now because of two things I experienced this year. The first was a retreat I attended at the Abbey of Gethsemani in Kentucky. One of the talks focused on Mary and her role in salvation. He highlighted a title for Mary that I never had heard before: Spouse of the Holy Spirit. Coincidentally, at the same time I was reading the book “Consoling the Heart of Jesus,” written by Father Michael Gaitley, and he also used that title. I found myself more curious about Mary and how she might enhance my spirituality, help bring me closer to Christ. The second eye-opening experience was a 33-day “retreat” I made with members of my Saturday morning prayer group. We all read Father Gaitley’s book “33 Days to Morning Glory,” with a different selection each day from Nov. 5 until Dec. 7. The ultimate goal: total consecration to Jesus through Mary. I still struggle about asking for Mary’s help when I can go directly to Jesus, but I’m talking more with her. I’m recognizing that as my spiritual mother, she has a unique heart, a special relationship with her son and a desire for me to know him better. She is so much more than a character in a story.